SEAFORD, Long Island (WABC) -- A police officer is being hailed as a hero after he stopped a 22-year-old man authorities say was drunk and driving the wrong way on a Long Island highway early Christmas morning. Officials said the highway patrol officer was driving east on Sunrise Highway in Seaford just after 3:30 a.m. Tuesday when he noticed headlights coming towards him. The officer immediately activated all of his emergency lights and angled his car to block all three westbound lanes, in order to prevent an accident from occurring. The vehicle traveling in the wrong direction subsequently was stopped, and an investigation was conducted by the officer. 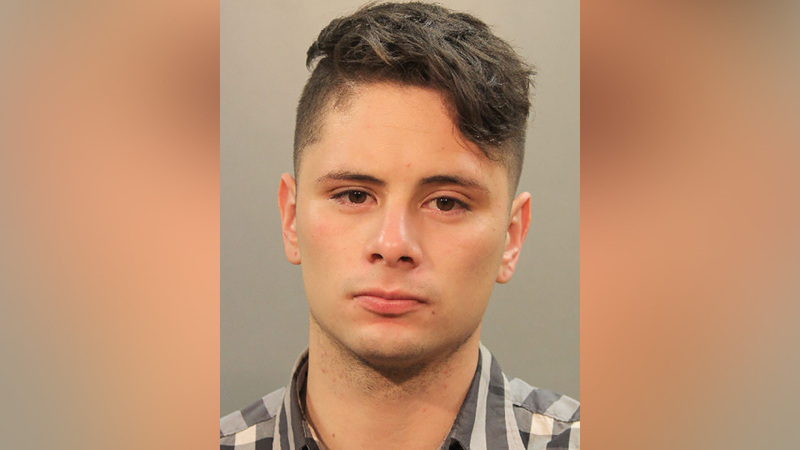 Authorities say the driver, 22-year-old Santiago Atehortua Gaviria, of Oakland Gardens, was found to have glassy, bloodshot eyes, slurred speech, and an odor of an alcohol on his breath. A sobriety test reportedly revealed him to be unsteady on his feet. He was arrested without incident, and his vehicle, a 1998 Honda Civic, was impounded. Atehortua Gaviria is charged with driving while intoxicated, reckless driving and several other vehicle and traffic violations.